This young lady has broken her nose three times over the years. At age six she fell of a sofa, later she injured her nose again skating and the year before her nose was yet again broken! She had difficulty breathing and occasionally had nose bleeds. Her main concern was the crookedness of her nose. In addition she wanted an overall smaller nose, no longer a bump and perhaps a narrower tip. Because of the thickness of her nasal skin, she was told reducing the size of her nose would be limited and likely not as much as she would have wanted if she could simply chose the size. 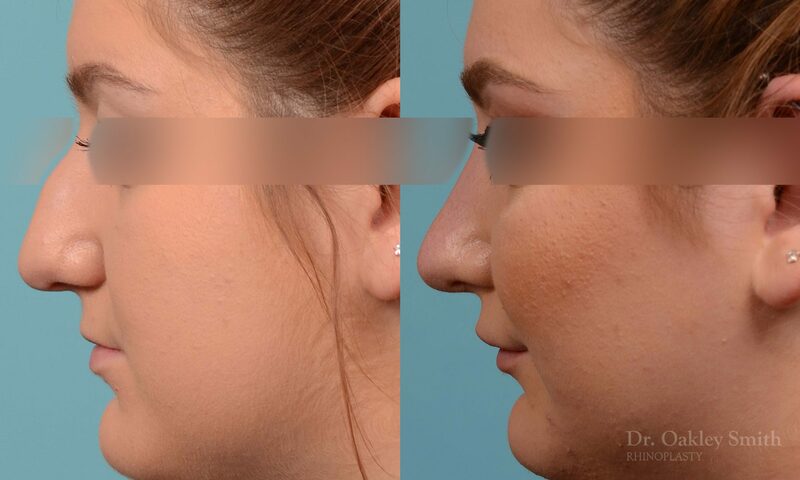 Crooked noses are one of the most difficult procedures in all of Rhinoplasty. 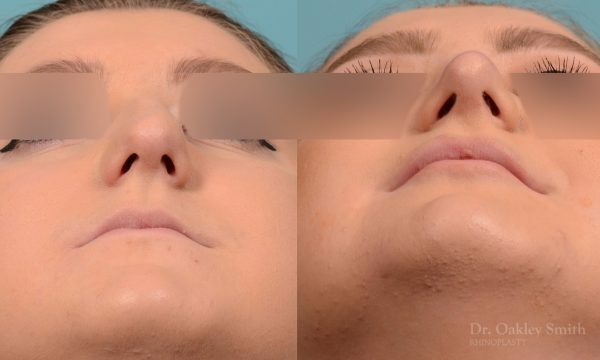 This is because there has already been trauma to the nasal tissues, the transition between the bony and cartilaginous bridge is quite complex and resembles more a dovetail joint than a simple joint. Usually the interior septum will need to be corrected, which introduces further probabilities of error. 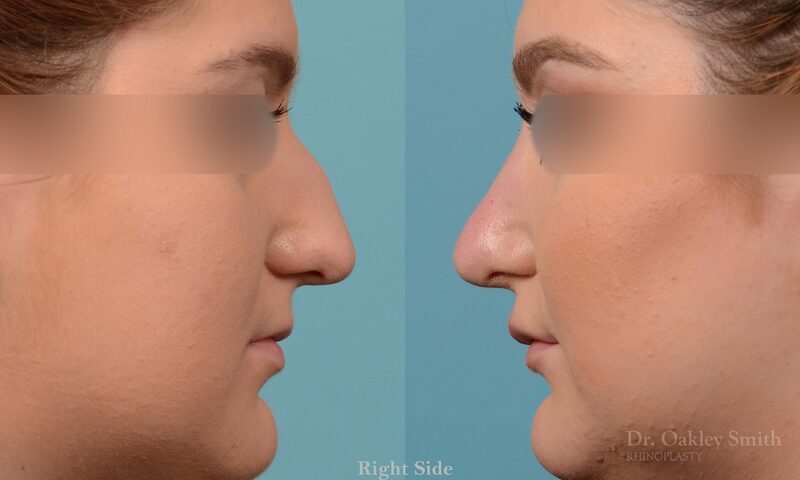 A straight appearing nose can realistically be expected in about 70% of cases. 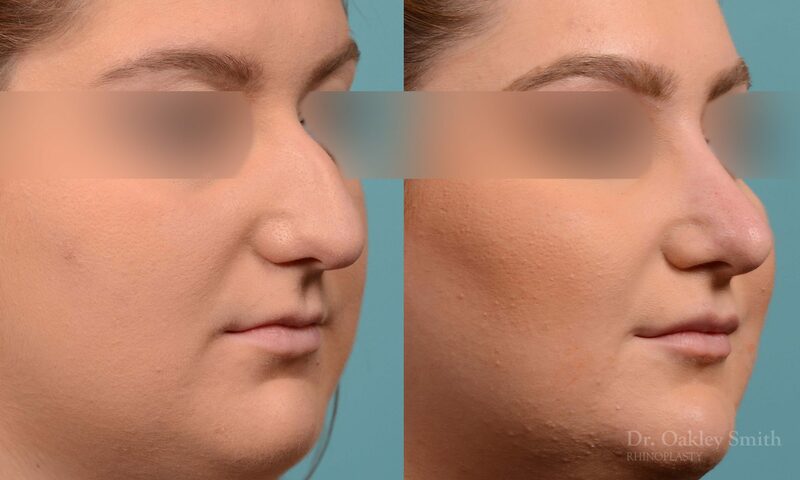 One can see that although there has been improvement in the straightness of her nose, there remains some deviation. 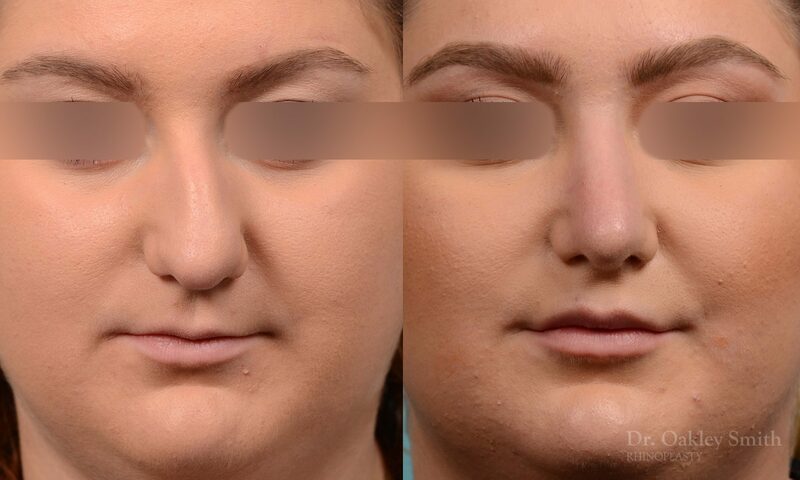 Fortunately the side walls of her bridge are smooth and this helps in giving her nose the appearance of being straight when, with careful analysis, it comes clear it is not directly in the mid line. 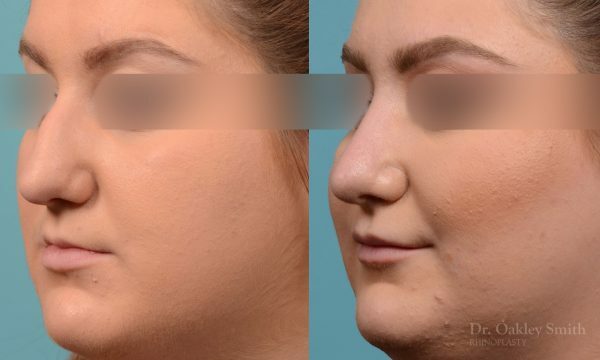 At the time of her surgery, the tip of her nose was able to be de-projected three millimetres. This is a mild to moderate reduction in overall size and, given her skin thickness, is a good surgical result.